Home > Products > Ya Ya Creations Red Beaded Acrylic Round Charger Plate 13"
The eye-catching design of the Ya Ya Creations Red Beaded Acrylic Round Charger Plate 13" will add a pop of color to your table settings. 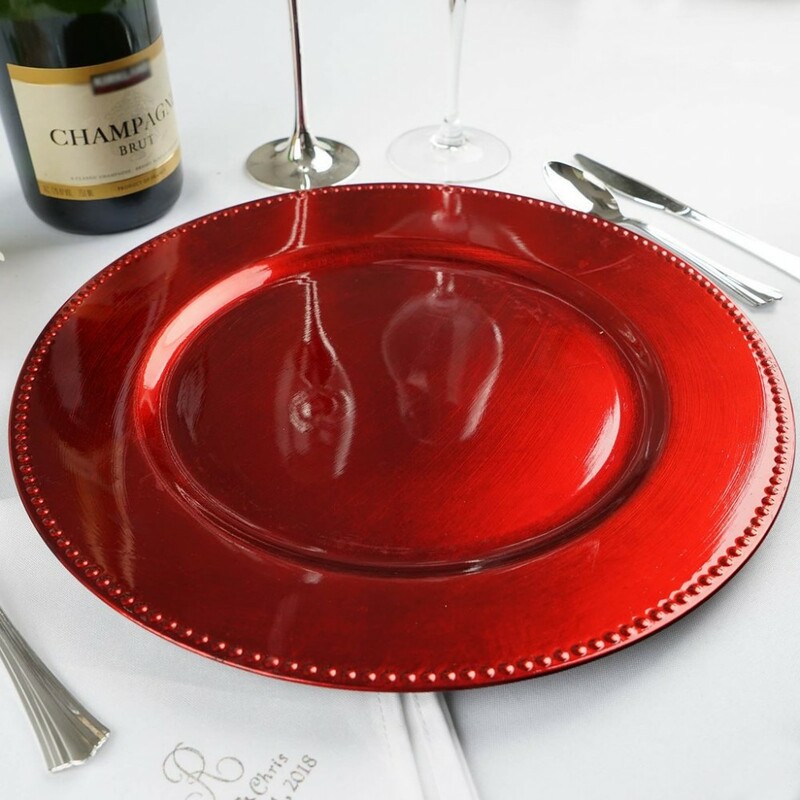 Featuring beaded detailing along its rim, in a vibrant red shade, this charger plate is an excellent piece for themed parties and festive events. This stunning charger plate works as a decorative base perfect for elevating your dinnerware and highlighting every dish. Thanks to its high quality acrylic construction and excellent craftsmanship, this charger plate is a must-have for hotels, catering companies, and other food service establishments.